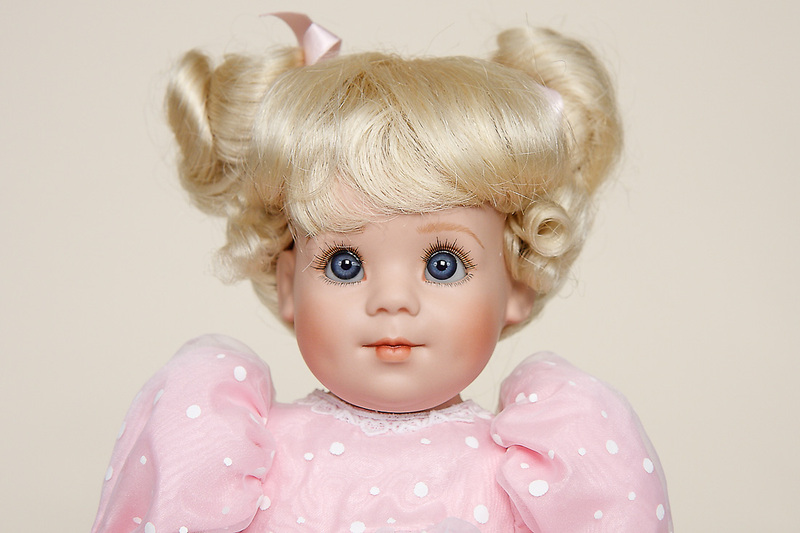 Polly is a Porcelain Soft Body Limited Edition doll by originally German doll artist, Elke Hutchens for Elke's Originals Ltd. This piece was produced in an edition of 435. She is approximately 15 inches tall with porcelain armatured (for posing) arms, legs, head and shoulder plate on a soft body. 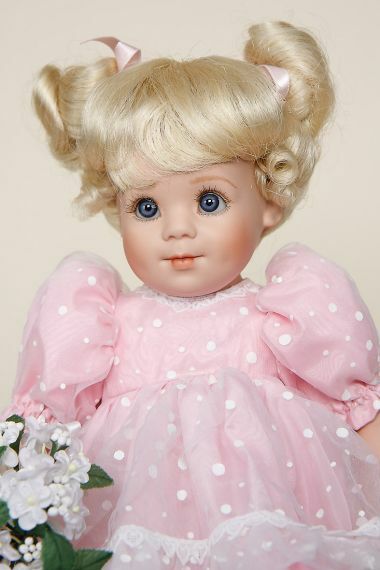 She wears a pretty pink taffeta party dress with white dotted organza, trimmed with dainty lace in a heart motif. Her long pale blond hair is neatly swept up into adorable curly pigtails, adorned with satin ribbons to match her dress. Her white maryjane shoes are worn over ruffled anklets. Her eyes are Blue or blue-gray glass. She shyly holds a bouquet of white flowers. This dolls is hand signed by Elke, is numbered, and comes with a Certificate of Authenticity and numbered hand tag.